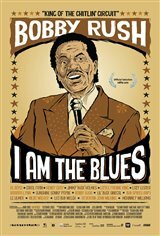 I am the blues introduced me to musicians that I didn't know existed. It was a fascinating journey to see these wonderful artists who have largely been forgotten tell some of their story. It's a particular type of blues and glad that I was able to experience it. Highly recommended.